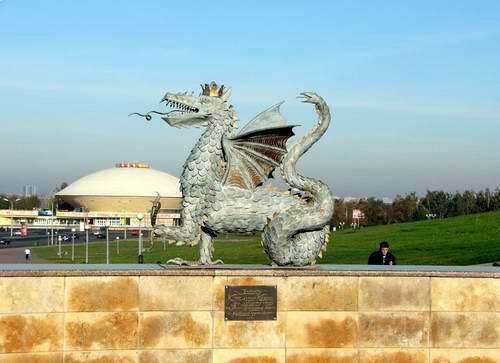 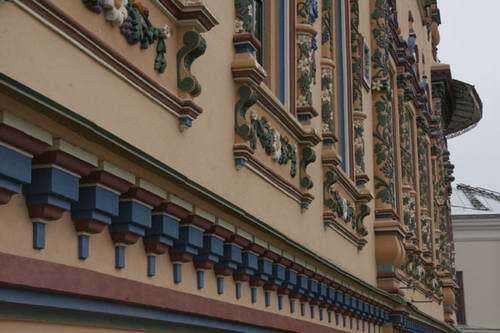 The dragon is a symbol of Kazan city. 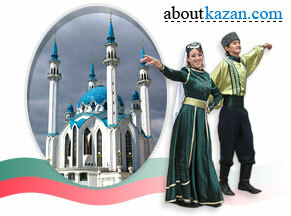 You can found it near the entrance to Kazan Kremlin metro station. 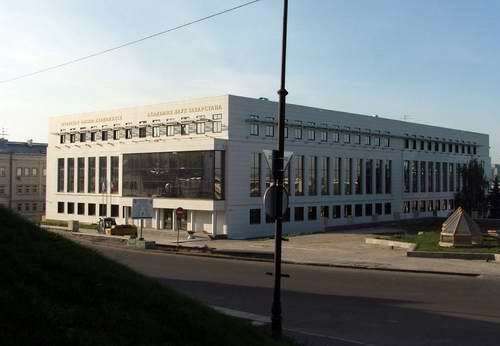 Kazan city Academy of Sciences can be found on Bauman Str., 20. 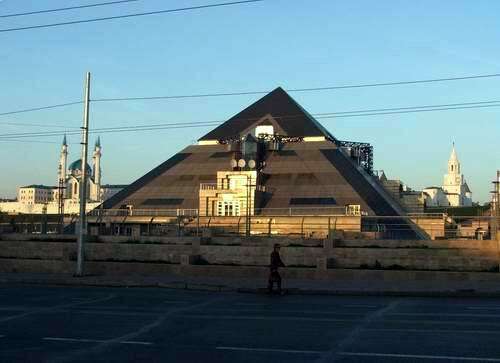 The entertainment center "Pyramid" is situated near the Kazan Kremlin. 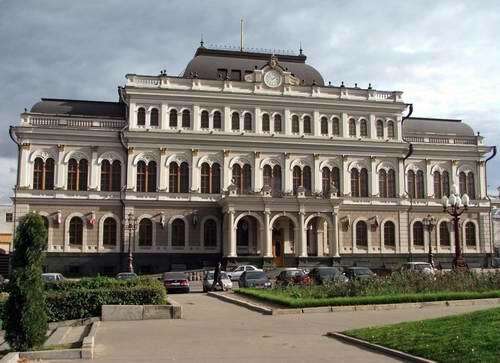 Kazan city administration building is on Kremlin Str., 1. 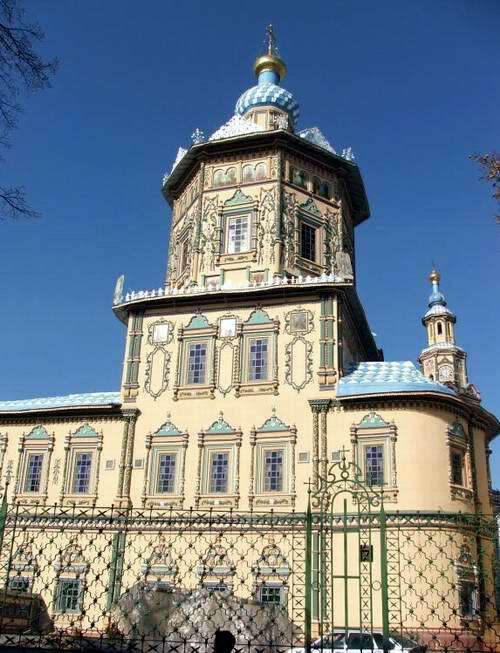 Ioanno-Predtechenskiy monastery is situated near Spasskaya Tower of Kazan Kremlin (Bauman Str., 2). 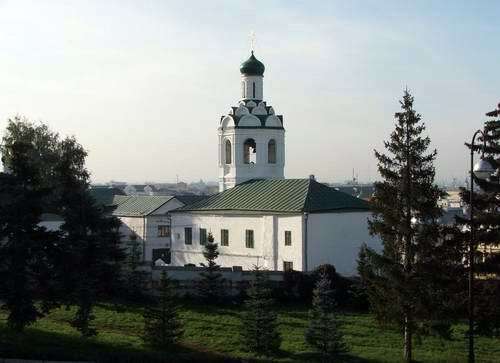 Petropavlosvskiy Cathedral (1722-1726) is situated on Musa Djalil Str., 21. 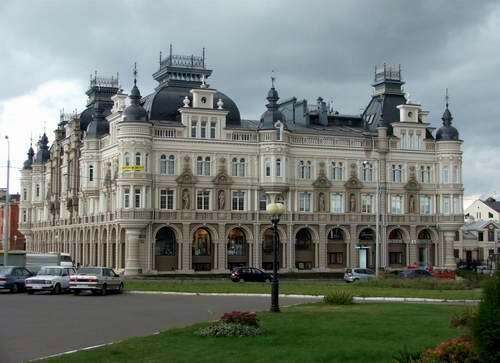 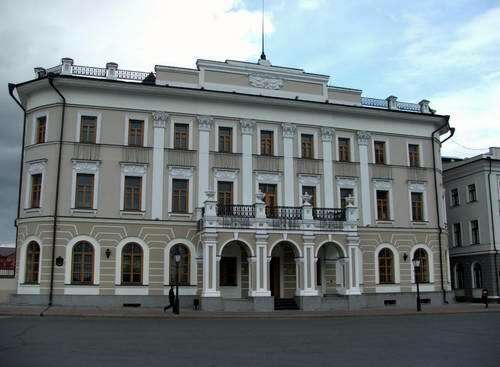 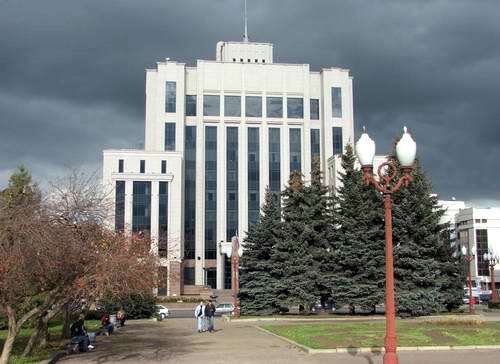 The building of Tatarstan republic government can be found on Liberty Square. 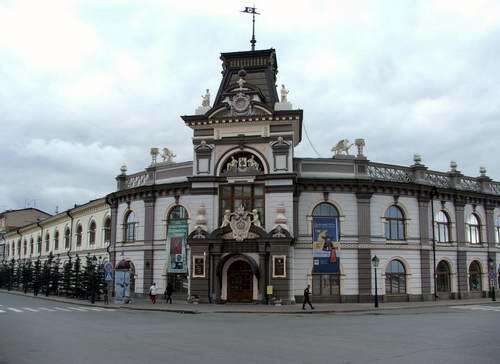 Kazan city hall was built in 1858 and can be found on Liberty Square. 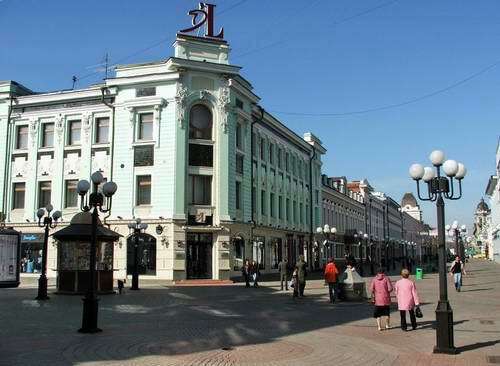 Kazan city central part - Bauman Street. 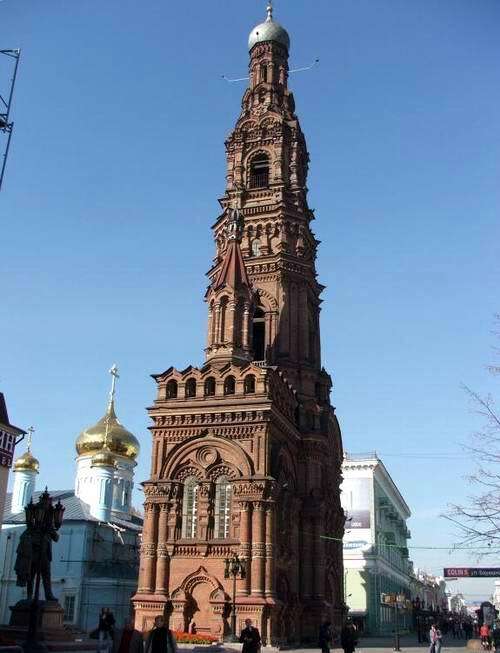 The bell tower of Bogoyavlesnkiy Cathedral (1895-1897) is 74 m. height and can be found on Bauman Str., 78. 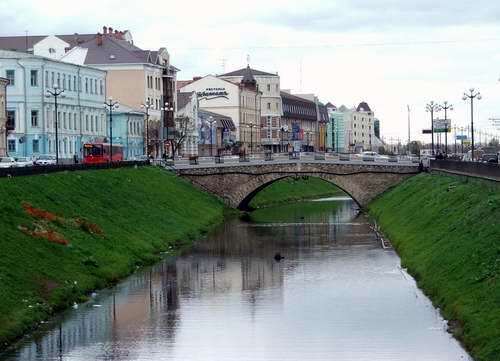 Bulac channel is dividing Kazan city into two parts: Upper and Lower cities. 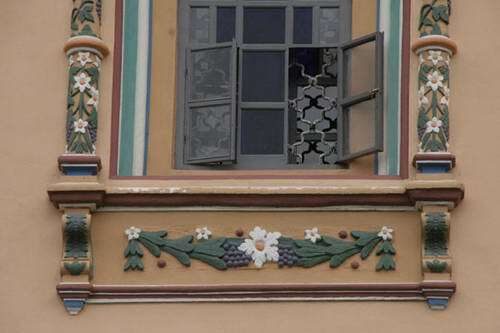 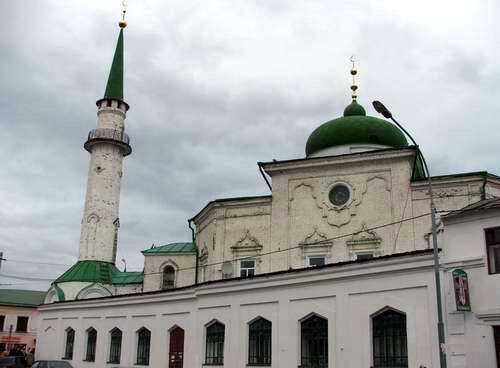 Sultan Mosque (1866-1868) is located on Gabdulla Tukai Str., 14/19. 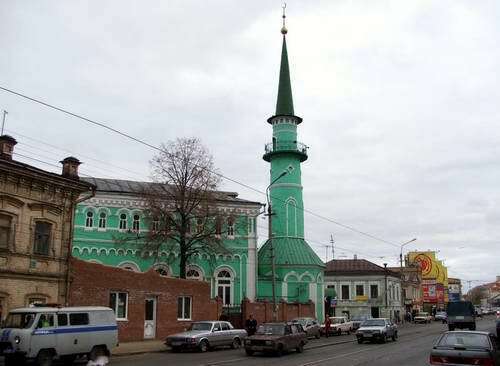 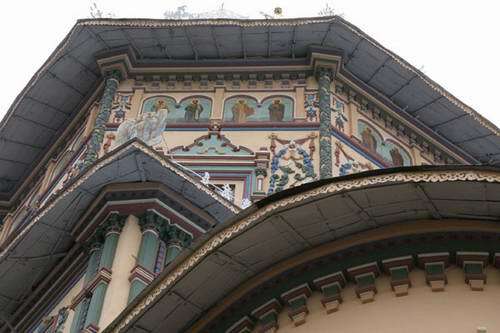 Nurulla Mosque (1845-1849) is located on Kirov Str., 74/15. 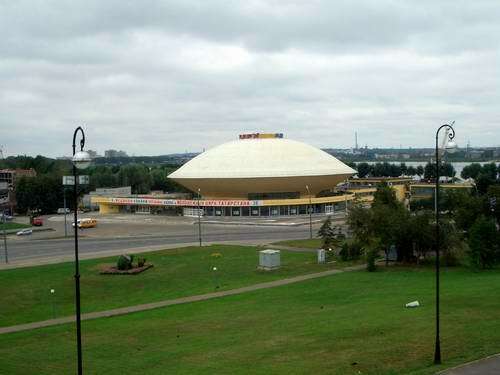 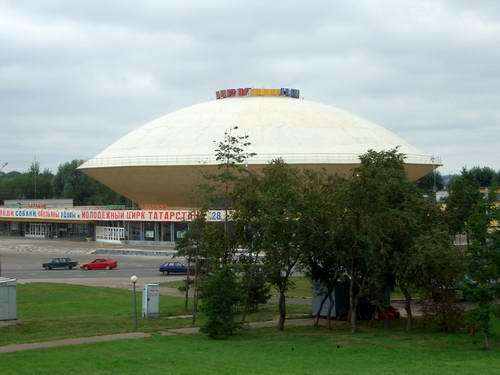 Kazan Circus building has original design and looks like if UFO has landed near Kazan Kremlin walls.